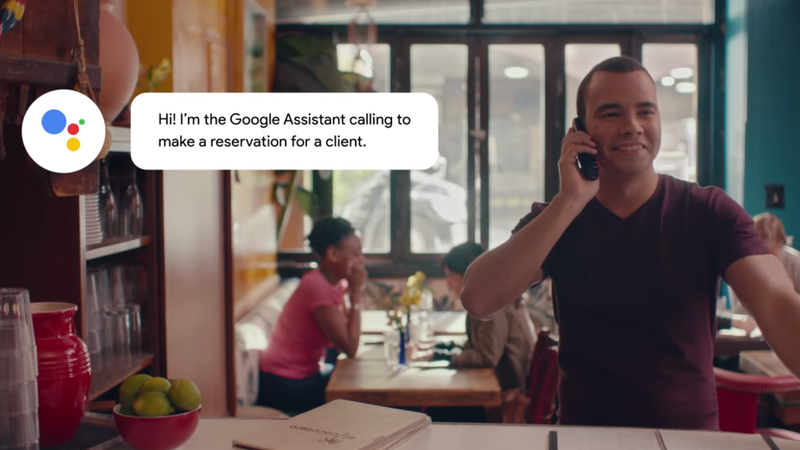 At Google I/O last year, we got our first glimpse of Duplex, an AI that can place phone calls for you to secure dining reservations. Google rolled Duplex out in an extremely limited test late last year. Now, Duplex is coming to Pixel phones in 43 states, and non-Pixel phones will have access soon. With so many supported states, it's easier to tell you which states are not getting Duplex yet. That's Indiana, Kentucky, Louisiana, Minnesota, Montana, Nebraska, and Texas. As a resident of Minnesota, I'd like to extend a hearty ಠ_ಠ to Google. If you live anyplace else in the US, you'll have Duplex on your Pixel phone today. Of course, most people don't use Pixels. Google says it will begin rolling Duplex out to other Android and iOS devices in the coming weeks. To use Duplex, just pull up Assistant and ask it to book a table at your chosen restaurant on a specific day/time. Duplex makes the call and reports back with the result. Google previously demoed setting up other types of appointments with Duplex (like a hair salon), but the blog post only talks about dining. It's unclear if that's a limitation on the current version of the service, but many of you will be able to find out soon. Google Duplex still isn't available nationwide, but today Google's taken at least one further step in that direction, as it updates its support documents to indicate availability in Texas. That brings the list of Duplex-supporting states to 44, with Indiana, Kentucky, Louisiana, Minnesota, Montana, and Nebraska remaining as our hold-outs. Earlier this month we also saw compatibility begin spreading to non-Pixel phones.